Last year, this terrific new film festival devoted to genre cinema in NYC showcased several titles that were among many critics’ favorite films of 2019, including Revenge and The Endless. This year, more interesting showcases and films will emerge starting on March 20th. I wanted to highlight a few of those for everyone out on the East Coast, in anticipation for their eventual release nationwide! A couple of which I have already seen and enjoyed immensely. (Capsule reviews forthcoming). NYC’s What the Fest! ?, is only in its 2nd year, but already has a lot of anticipation due to its appreciation of subversive genre cinema. The festivities commence March 20-24 at the IFC Center (323 Sixth Avenue) with a plethora of talent both on-screen and in-person. You can partake in appearances with in-person special guests including the beloved horror actor/director Larry Fessenden (Depraved), Grady Hendrix (We Sold Our Souls), Pollyanna McIntosh (Darlin’), Emma Tammi (The Wind), Billy Senese (The Dead Center), Roxanne Benjamin (Body At Brighten Rock), Adam B. Stein (Freaks), Lucien Greaves (Hail Satan? ), and Kirill Sokolov (Why Don’t You Just Die!). Check out the rundown of scheduled events and screening you won’t want to miss. So much to look forward to this year so definitely plan on attending. Wednesday, March 20 at 7:00 p.m: Opening night premiere of Depraved which is the latest from horror director / character actor Larry Fessenden— this is an intimate, modern take on the classic Frankenstein story. David Call, Joshua Leonard (so creepy recently in Steven Soderbergh’s Unsane), Alex Breaux and Maria Dizzia star in the film; the filmmaker and members of the cast will do a Q&A after the screening, and before it, a “Frankenstein Origins” video presentation will be shown. This one I can happily recommend and a short review and podcast interview with Larry is forthcoming. Wednesday, March 20 at 9:45 p.m.: New York premiere of Crazy Pictures The Unthinkable, which follows a musician, Alex (Christoffer Nordenrot), who has it rough with his loved ones. Estranged from his father Bjorn (Jesper Barkselius), he longs for home and especially for the good old days with his ex, Anna (Lisa Henni), the love of his life. After his mother unexpectedly dies in a series of what seem like terrorist bombings, Alex travels back to his hometown, which is soon invaded by a strange force using a chemical weapon that spreads through rainfall and wipes its victims’ memories clean. Thursday, March 21 at 7 p.m.: East Coast premiere of Pollyanna McIntosh’s Darlin’. In the sequel to Jack Ketchum’s The Woman which was adapted into a film by Lucky McKee back in 2011, Darlin’ is a teenager not unlike any other—except for the fact she’s been raised in the wilderness by a feral woman. Now separated from her family and placed in a Catholic girls reformatory, she’s being assimilated back into society and taught the ways of the Lord. But the feral part of Darlin’ is never far away, and neither is The Woman (writer/director McIntosh, returning to the role) who loved, nurtured, and cared for her, hoping to bring her family back together. Preceded by a tribute to Ketchum, and followed by a Q&A with writer/director/star McIntosh. 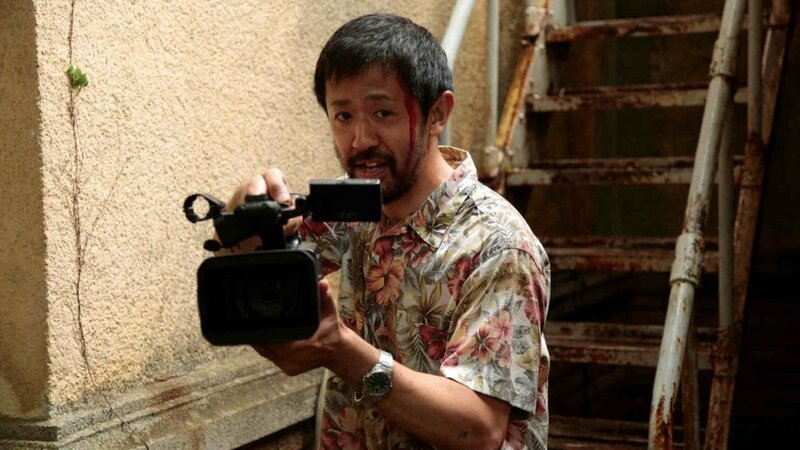 Thursday, March 21 at 9:45 p.m.: Shinichiro Ueda’s One Cut Of The Dead, the award-winning delightful comedy about the making of a one-take zombie movie. This is a pretty manic ride that is often both funny and terrifying, particularly during its rapid-paced first half. Followed by a panel with local low-budget zombie filmmakers. Friday, March 22 at 7 p.m.: New York premiere of Emma Tammi’s The Wind. Lizzy (Caitlin Gerard) wants to be a good wife and take care of her home, have children, and patiently bide her time until her husband returns, while she waits alone in the vast, empty plains of the 19th-century West. But being by yourself in the middle of nothing, where just the sound of the wind can curl your toes, isn’t that easy. Slowly the forces of nature start feeding into her paranoia. What if something else is out there? When a new couple settles into a house nearby, Lizzy finds comfort in friendship with another young woman (Julia Goldani Telles) and shares her biggest fears with her. But soon enough, she’ll regret that. Followed by a Q&A with Tammi, and a party at Vol de Nuit (148 West 4th Street), the fest’s official gathering place. Friday, March 22 at 9:30 p.m.: East Coast premiere of Jocelyn DeBoer and Dawn Luebbe’s Greener Grass. Fresh from its Sundance premiere, this deliciously twisted comedy is set in a demented, timeless suburbia where every adult wears braces on their straight teeth, couples coordinate meticulously pressed outfits, and coveted family members are swapped in more ways than one in this competition for acceptance. Based on their 2016 SXSW award-winning short film by the same name, DeBoer and Luebbe wrote, directed and star. Saturday, March 23 at 12 p.m.: North American premiere of Peter Brunner’s To The Night. Norman (Caleb Landry Jones) is an installation artist living in a spacious, seemingly half-abandoned loft building by the East River. He’s obsessed with the fire that killed his parents when he was a child, and his life and his art become more and more consumed by that obsession. Pain takes over reason, understanding and moral judgment. Loss fills the spaces he inhabits, like a fire that is given oxygen, roaring and destroying everything on its way. Saturday, March 23 at 2:30 p.m.: New York premiere of Billy Senese’s The Dead Center. In a dark morgue one night, an unidentified suicide victim comes to life and hides nearby. The next day, Edward (Bill Feelhely), the coroner who’s supposed to perform the autopsy, can’t find the corpse of this “John Doe.” Instead, the revived man is found by Daniel (Shane Carruth - one of my very favorite directors), a psychiatrist who, believing he’s a catatonic amnesiac, signs him into a hospital ward, ignorant of the fact that the man was previously dead. Completely unaware of each other, Edward and Daniel each start to seek answers to the same, unsettling case from the opposite ends of this hypnotic and horrifying mystery. Followed by a Q&A with Senese. Saturday, March 23 at 5:30 p.m.: Female Trouble: Fearless Women Leading the Way in Horror, Fantasy, and Suspense panel, with filmmakers Emma Tammi, Roxanne Benjamin, Meredith Alloway and others. Saturday, March 23 at 7 p.m.: New York premiere of Benjamin’s Body At Brighten Rock. Wendy works as a park ranger, but sometimes she’s a little sloppy at her job. She can be a little careless, a little too chill. When she gets an assignment to take care of the mountain trails that would mean being completely on her own way out in the woods, her friends try to talk her out of it. But Wendy ignores their concern and heads out—ending up stranded overnight at Brighton Rock with a decaying body. What could go wrong? Followed by a Q&A with Benjamin and a party at Vol de Nuit. Saturday, March 23 at 9:30 p.m.: New York premiere of Zhang Yimou’s Shadow. Yimou returns to the screen with an explosive tale of intrigue and action set within the warring Three Kingdoms. A wild and ambitious ruler, his loyal but cunning commander, and a double he’s set up as insurance play games of deceit as war rages through their kingdom. Preceded by a stunts presentation with New York stuntwoman Kimmy Suzuki. Sunday, March 24 at 12 p.m.: Restoration world premiere of Ray Laurent’s Satanis: The Devil’s Mass. This 1970 American documentary takes us inside the infamous “Black House” in San Francisco, where the Church of Satan was established. We also get a glimpse of the neighborhood around it, more and more specifically of the none-too-pleased neighbors, who have quite a few things to say about that damned house. But the heart of the film is a study of Anton Szandor LaVey, former lion tamer and the leader of this cult of devil worshippers, and their ideology that centers around the rejection of guilt, sexual freedom and self-indulgence. Sunday, March 24 at 3:30 p.m.: U.S. premiere of Zack Lipovsky and Adam B. Stein’s Freaks. Chloe (Lexy Kolker) is a young girl who lives with her father Henry (Emile Hirsch) in a massive, abandoned house that’s tricked out like a kind of fortress. Chloe’s never been outside the house before, but she trains every day to make sure she can keep up with the false identity she’ll have to assume when she’s ready to venture outdoors. Henry entertains his daughter and seems like a sweet dad, until a day when she almost gets out and he flips, shouting at her “You’re not normal yet! You’ll die if you go outside!” But Chloe has other plans, which not-so-accidentally collide with an ice-cream truck and its driver (Bruce Dern) who’s trying to lure little girl out into the big, bad world. Followed by a Q&A with Stein. Sunday, March 24 at 6:15 p.m.: New York premiere of Penny Lane’s Hail Satan? Fresh from its Sundance premiere, the film follows the rise of The Satanic Temple, a mysterious organization led by Lucien Greaves that’s calling for Satanic revolution to save America’s soul. The Temple’s first rally was on the steps of Florida’s state Capitol in 2013, in which the group sported demonic masks and carried a banner proclaiming “Hail Satan! Hail Rick Scott!” But despite its name, the Temple’s true purpose is to remind people that our nation was founded on a separation of church and state, arguing that if you welcome Christianity into the classroom, you’ve got to invite Satan too. As the organization grows, it focuses on promoting social justice, exposing hypocrisy and supporting true religious freedom in all its forms. Followed by a Q&A with Greaves and a party at Vol de Nuit. Sunday, March 24 at 8:45 p.m.: North American premiere of Kirill Sokolov’s Why Don’t You Just Die!, a stylized, dark action comedy about a group of people brought together in the apartment of police detective Andrei: his resentful daughter, an angry thug and a cheated cop. Each one of them has a reason to want revenge. The film is a tale of crime, corruption, greed, dysfunctional families, unrequited love and lots and lots of blood—proudly displaying its influences while it forges its own path. Preceded by standup with comedian Harrison Greenbaum, and followed by a Q&A with Sokolov. more coverage on a few of the titles to come!